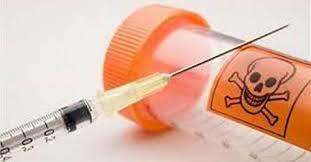 Euthanasia Prevention Coalition Euthanasia Prevention Coalition: Euthanasia activist charged with a third murder. Sean Davison who has been a euthanasia activist since he was arrested and convicted in the death of his mother, in New Zealand in 2010, he has now been charged in the 2015 death of Justin Varian. In September 2018 Davison was arrested in the 2103 death of Anrich Burger. The latest charge was added after Davison allegedly “assisted” Varian, who had motor neuron disease, to end his life on July 25, 2015. According to the charge sheet, he "administered a lethal amount of drugs to the quadriplegic deceased" at or near the Radisson Hotel in Granger Bay on November 2, 2015. Davison reportedly filmed Varian requesting help to be killed. Davison was a leader of the World Federation of Right to Die Societies and he is a leader of Dignity South Africa. When Davison was charged with murder in the death of Anrich Burger IOL news reported that Davison was being investigated in more deaths.